REGISTRATION will remain open until midnight on March 18th (CST) The class is self-paced, and expected to take 4-8 weeks, depending on the time you have available to complete the 12 assigned Tasks. This is the 2nd offering of this class for 2016 registration. If you miss this registration window...the next Basic Course will be available in July. You need to be able to open these handouts/instructions and save them. You can also print as you desire. In total, the course contains over 200 pages of information...so paper/printer will be required if you want to retain a hard copy of this information. Hugs, and I hope to see you in the class! This class is REQUIRED before you can sign up to any of the other courses offered this year. 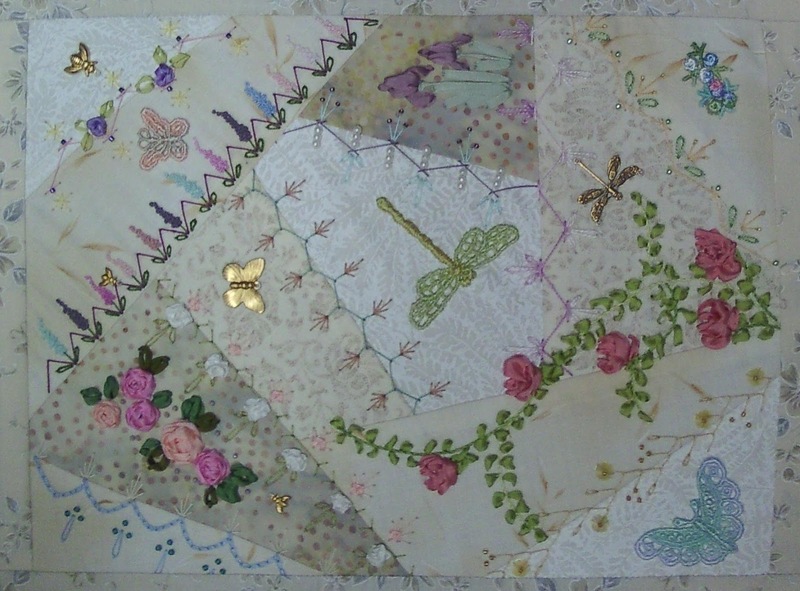 At present, I'm spending most of my time tracking the current classes underway and writing new books; the others classes for this year will occur after the Crazy Quilting Volume II: Ribbon Embellishments Book has been published (hopefully in April).